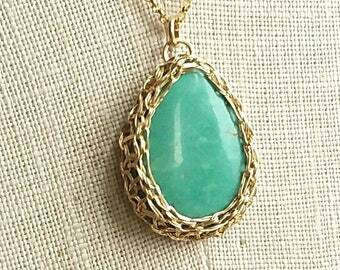 All pieces are made to order, please allow 1-2 weeks to complete your jewelry. Precious Meshes is a part-time project from the folks at VIX Emporium, West Philadelphia's shop for "local crafts & artful gifts". Find us at vixemporium.com. 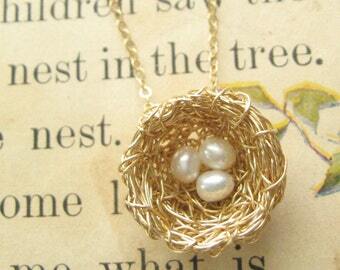 Bird Nest Ring, Goldfill, Freshwater Pearls, Adjustable, Choose 1-5 eggs in the Nest. "Man is a knot, a web, a mesh into which relationships are tied." I have been making meshes for over a decade. 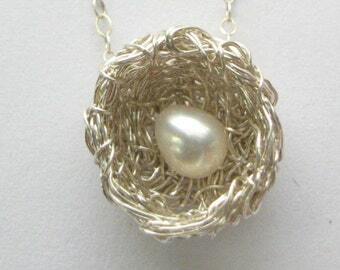 Since I first discovered it in 2003, the idea of using fiber techniques to create metal jewelry has intrigued me. Over the years I developed my own patterns and methods. 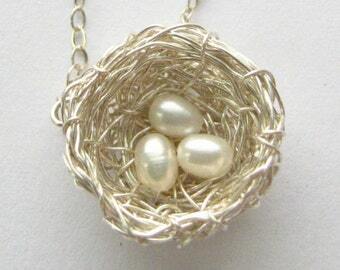 With the leftover material from experimental projects, I started making the bird's nests (which became far more popular than the trickier designs). Making meshes is a part-time project. My main job is operating VIX Emporium, a small brick & mortar shop specializing in "local crafts and artful gifts". Jewelry, ceramics, stationery, prints, home goods, baby gifts, accessories -- all by independent makers. 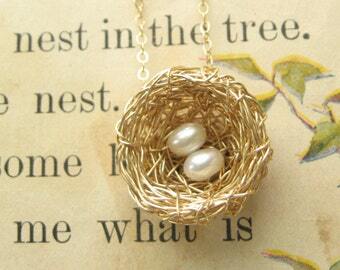 Many of our vendors are Etsy sellers, largely in the Philadelphia region. Visit us at 5009 Baltimore Avenue in West Philadelphia's Cedar Park neighborhood, and at http://vixemporium.com. I am also the co-founder and co-organizer of GO WEST! Craft Fest, a thrice-yearly craft fair in West Philly. Featuring a huge variety of local crafts, as well as music, food and performances by acrobats and jugglers, GO WEST is a ton of family-friendly fun in a historic 54-acre cemetery. Learn more at http://gowestcraftfest.com. Hello and thanks for finding my shop! All items are hand-stitched and finished by me. 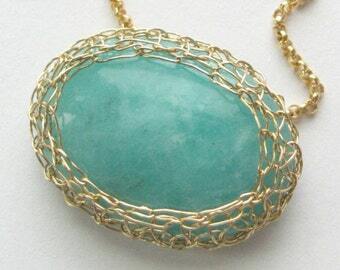 I am self-taught in the craft of wire crochet, a concept I discovered in 2003. Most pieces (unless the title says it is ready to ship) take up to 1-2 weeks to complete. If you have a particular deadline, contact me and I'll see what I can do. Returns are not accepted on custom-made items, unless I have made a mistake. I am willing to accept returns on other pieces if absolutely necessary, but I would much rather make sure it it just what you want before you buy it. In either case, please let me know of your intent to return the piece within one week of receipt. Please allow about a week for me to complete and ship your piece. 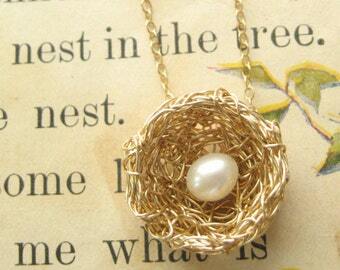 Precious Meshes are hand-stitched to order. Please allow approximately 1-2 weeks for your piece to be made and shipped. Slight variations in size, shape and color are to be expected and are inherent in handmade pieces. 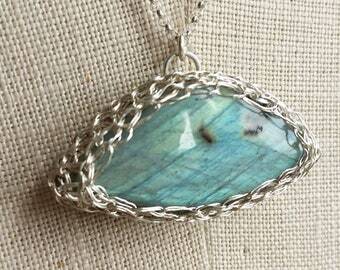 Silver crocheted mesh is fine silver (.999), silver clasps, hooks, posts, earbacks and chains are sterling silver (.925). All gold is 14/20 goldfill. This means that 1/20th of the metal is an outer tube of 14k gold, filled with an inner core of brass (brass = copper + zinc). Also called gold overlay or rolled gold, this metal "sandwich" has a 100x greater gold content than gold-plate or vermeil, and it will not flake off over time, unlike plated metals. All wire and jewelry components are lead free and nickel free, with the exception of the "precious meshes" ID tags, which are not nickel free. Those with metal sensitivities can easily remove the tag, or I can leave it off, lust let me know. Please wear, handle and store your jewelry with care. 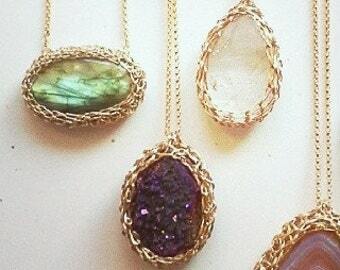 Do not sleep, shower or do strenuous activities in your jewelry. Silver may be cleaned with white toothpaste and an old toothbrush before it becomes overly tarnished (.999% pure or "fine" silver changes color much more slowly than sterling), or let the color darken over time. For oxidized silver, buff gently with a silver polishing cloth (I recommend a "Sunshine" cloth) followed by a gentle wash with dishwashing liquid and warm water. 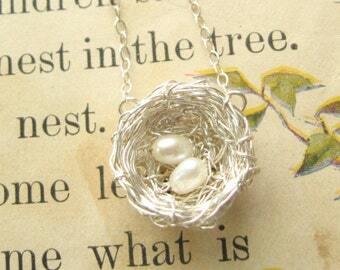 Do not use commercial liquid or paste silver cleaners if the piece is oxidized or contains pearls, turquoise or coral. These gems can be damaged by the harsh chemicals. Try this safer method instead, using hot water, baking soda and aluminum foil (copy & paste the link). All pearls are genuine freshwater cultured pearls, sometimes color treated. I am happy to consider custom orders. Just let me know what you have in mind and we can discuss it. 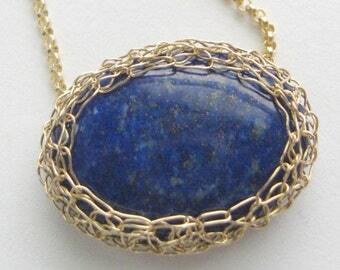 If you have a flat stone, cabochon, coin or other artifact you would like made into a "netted" pendant, let's talk! I have a small inventory on hand at VIX Emporium, 5009 Baltimore Avenue, West Philadelphia.